Set up camp a mile off the main road on a nice level gravel pad with a stunning view of Denali (Mt. Mckinley) on a clear day. You will have no neighbors except me in my yurt 100 yards away. There are 360 degree views of the mountains surrounding you. 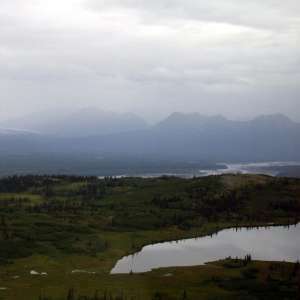 Located just 30 minutes south of Denali Park, you will have access to a small fire pit (bring your own wood) and an outhouse (bring own toilet paper.) Five minute walk-in access to the beautiful Jack River and a five minute drive from a great hiking trail. Also located next to a gravel airstrip, if your timing is right, you can watch bush pilots take off just yards away from your tent! Small fires only and watch closely during fire season. 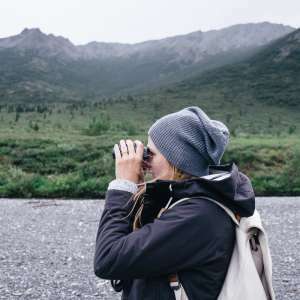 Natural features you'll find at Cantwell Denali View Camp in Alaska. in Alaska Farmstead Camping at The Grove! in Alaska The Cozy Big Yurt-Off The Grid!